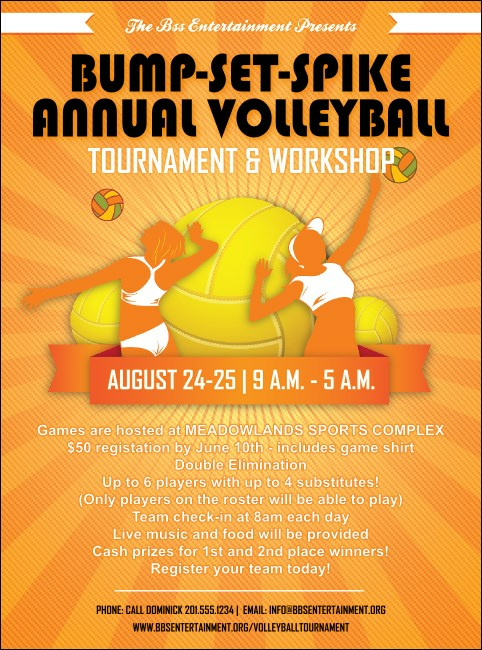 Bump up your ticket sales and get the jump on great pre-event advertising with Volleyball Sun Rays Flyers for your summer sporting event. Let your event shine with promotions that feature a glowing orange background pattern along with two players in mid-action, ready to hit the ball straight over the net. Keep your advertising bright at TicketPrinting.com.